The DA Hot 25 is the definitive playlist series running through dance music culture and hand­-delivering you with the essential tracks of the week. 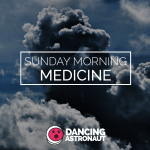 Whether it’s the hottest or quickest trending tracks, brand new music from your favorite artists, or songs from the unknown that should be landing on your radar, Dancing Astronaut brings you 25 carefully selected records that reflect what’s happening in our world. This week was jam-packed with major releases including jaw-dropping collaborations between Cashmere Cat & The Weeknd, CID & Kaskade, GTA & Wax Motif; album/EP releases from Big Gigantic, Just A Gent, Project 46; and artistic exploration from Audien, Jerry Folk, and Skrillex. Additionally, we’ve provided our picks from within The DA Hot 25, highlighting two standout tracks. Cashmere Cat is the perfect example of the age old saying “quality over quantity.” With past collaborators including Kanye West and Ariana Grande, it was no surprise when the Norwegian maven and The Weeknd teased their collaboration “Wild Love,” and it’s nothing short of anthemic as expected. Gryffin and Bipolar Sunshine crossed paths back in 2014 when the LA producer flipped Bipolar’s “Daydreamer” into a euphoric house anthem. After realizing a natural synthesis of musical styles, the two hopped in the studio to yield “Whole Heart” – a refined indie-dance gem. Tune in each Wednesday, exclusively on Apple Music, where The DA Hot 25 debuts weekly on our curator page.